So my garden is probably at its peak bloom right now, as far as species diversity goes that is. 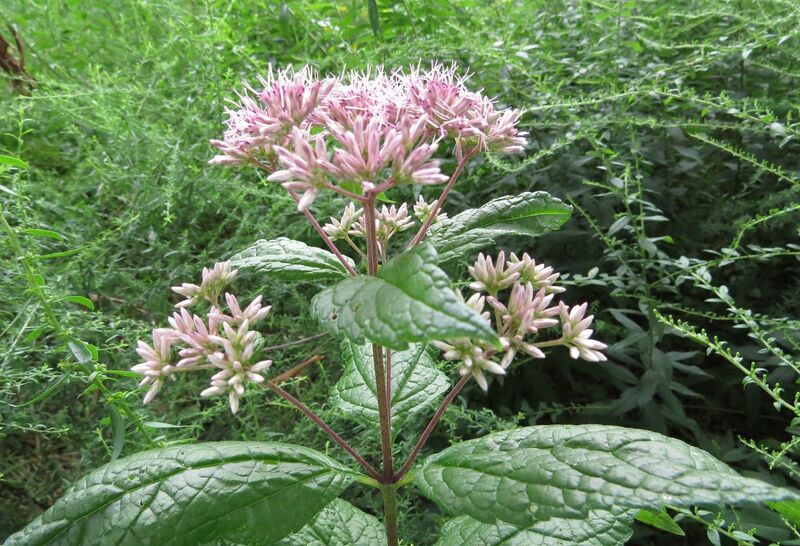 Sweet Joe Pye Weed, Eupatorium purpureum, is slightly more shade tolerant than I expected. It's still in a partial shade condition but also dryer than most of the Joe Pye Weeds I grow. 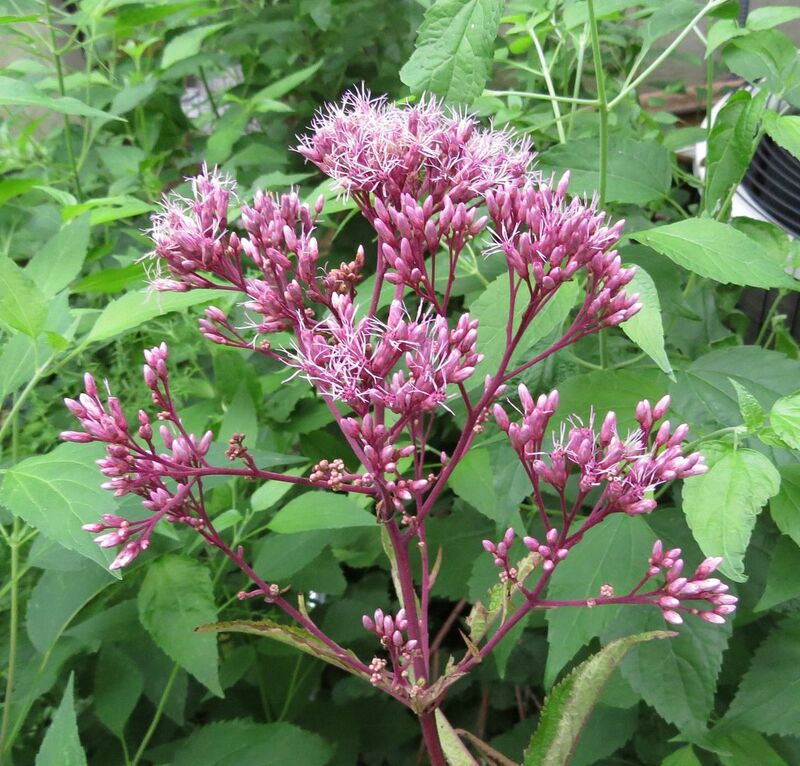 Spotted Joe Pye Weed, Eupatorium maculatum, is a new addition to the garden this year. Lower on the stem there are tiny spots which are lacking in other species, hence the name. I have it growing in a bit more shade than it can probably handle to I might have to move it. Hollow Stem Joe Pye Weed, Eutrochium fistulosum, is sadly growing old. This is one of the tallest and more impressive species I have, but also one of the first natives I planted. The rhizome in the ground seems to be dying out in the middle, resulting in an uneven ring of stems emerging from the ground each year. I may need to divide it up next year. 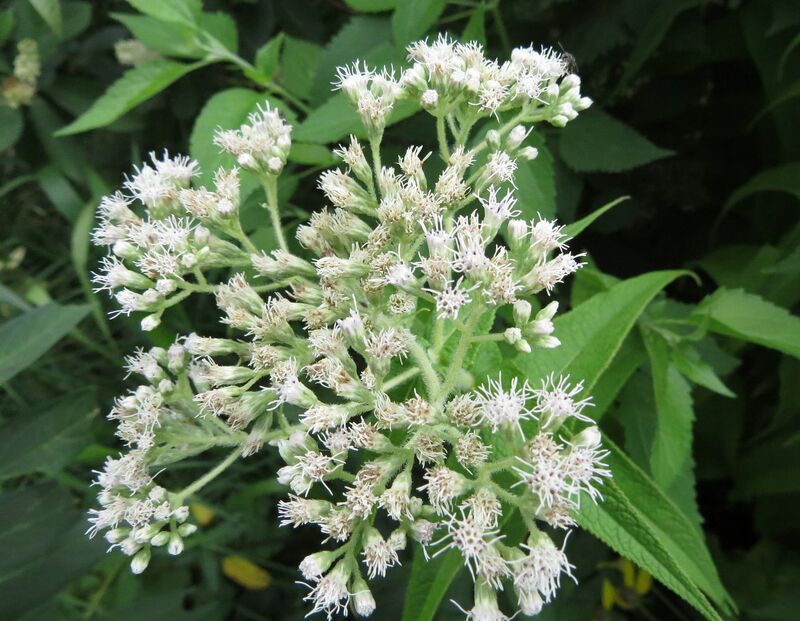 Common Boneset, Eupatorium perfoliatum, is another new plant for the garden. 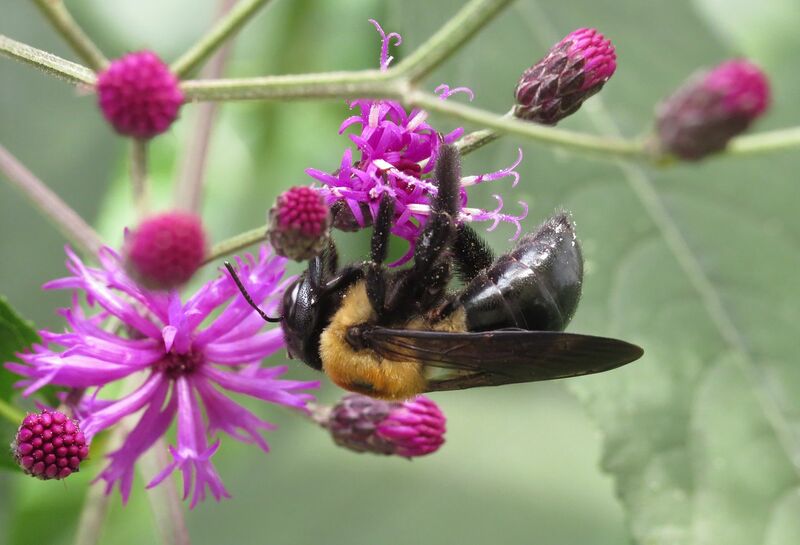 My yard has an abundance of Boneset but not this species. Unlike the ones that grow wild in my yard, this species actually gets a fair amount of bee attention. Giant Blue Lobelia, Lobelia cardinalis. Normally I stay away from "hummingbird plants" but I was stricken by how adorable bees look when they try to work the flowers enough to give it a try. 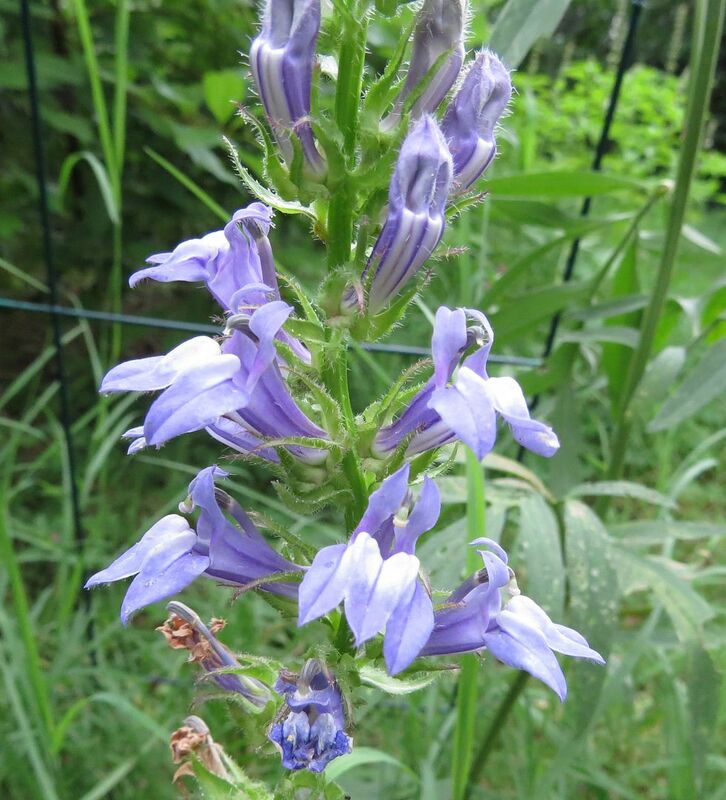 Lobelias regardless of the species, all tend to be short lived plants so it's important to let them set seed each year. 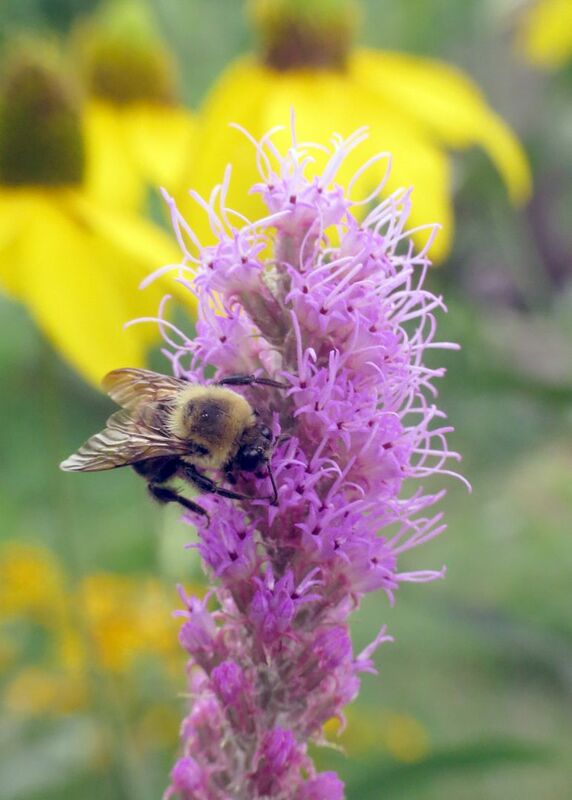 Liatris pycnostachya and Liatris spicata are both blooming out in the meadow. This is an image of L. spicata which tends to shade a hue or two brighter with slightly paler leaves, while L. pycnostachya is more magenta-like. Honestly though I can't tell either apart all that well. 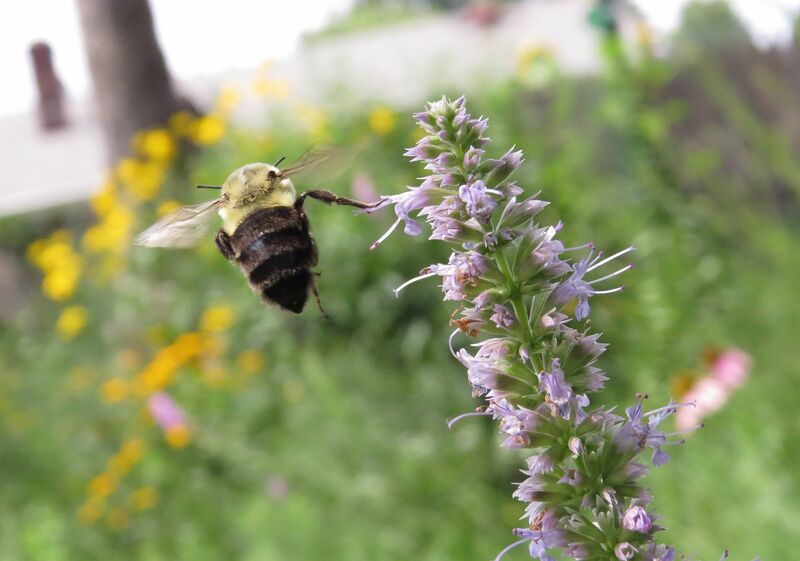 Anise Hyssop, and a bumblebee I caught mid flight with my new camera. Coneflowers, Liatris, Black Eyed Susan, and Rudbeckia laciniata are all flowering in the background. Western Sunflower, Helianthus occidentalis, was a fun addition this year. All the green growth is at the base of the plant with relatively few leaves occurring on their red stems which part a few times to sport a flower atop of each tip. The flowers are otherwise average in size given the genus. 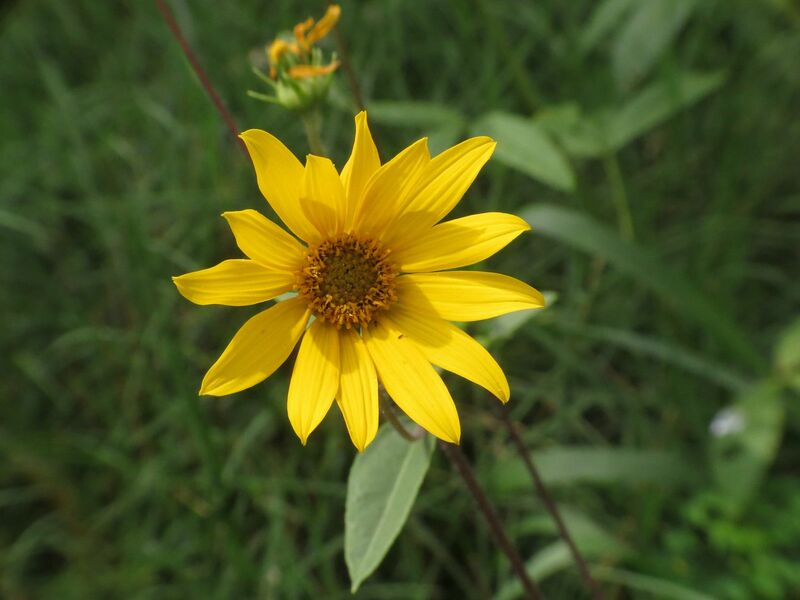 Appalachian Sunflower (becuase Purple Disk Sunflower so far doesn't make any sense) Helianthus atrorubens, grows in much the same with but with more leaves hugging the green stem. Leaves are also fleshier and thicker looking. 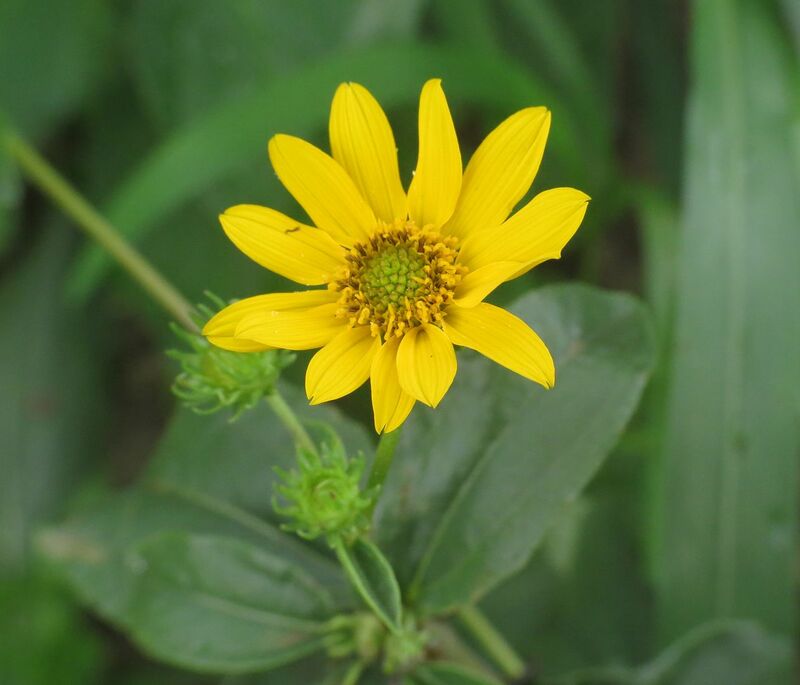 The flowers are fairly similar to Western Sunflowers in size and appearance. Maximilian Sunflower, Helianthus maximiliani, has also just started to bloom. It's a much taller plant, much more aggressive (though less so than any goldenrod with new stems occurring closer to the parent plant) and with flowers that are two to three times bigger. Ironweed, Vernonia sp. I have a bunch of species of this. The biggest one blooming now I acquired on accident thanks to a nursery mix up, so I'm not 100% on the species. 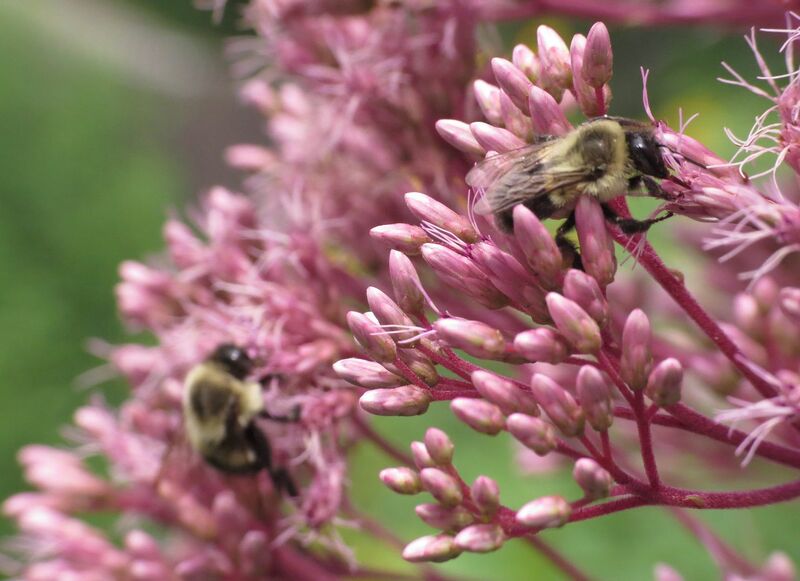 I love all those plants especially Joe Pye Weed. I started some from seed several years ago and during our 2 year drought it seemed to have died out. This year when almost normal rain returned it came back from the depths of the earth. A Swarm of Sweat Bees.